Online retailer Clove has revealed that the UK release date of the Dell Venue Pro has been pushed back to mid-February. The Dell Venue Pro has been long-promised; after being announced in October 2010 the handset was supposed to launch in November, then the date was pushed back to Christmas. A blog post penned by Clove places the blame on Micosoft: "At the moment it looks like the delay is being caused by a Microsoft issue with the MMS settings." 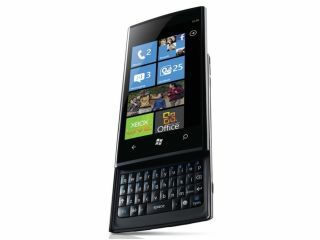 Anyone eagerly awaiting a Windows Phone 7 with a physical QWERTY will be disappointed with this news, especially as the handset has been available in the US for some time. We've contacted both Dell and Microsoft to see what they have to say about the whole debacle but are yet to receive an official statement from either. Meanwhile Expansys, which was the first retailer to get its pre-order page live in the UK, states that anyone pre-ordering a Dell Venue Pro from the site can expect delivery in 31 days' time.